Thank you for choosing VIAPIANA for your next pair of handcrafted custom canvas. In order to ensure that you get exactly what you want please take your time and choose from the options below. 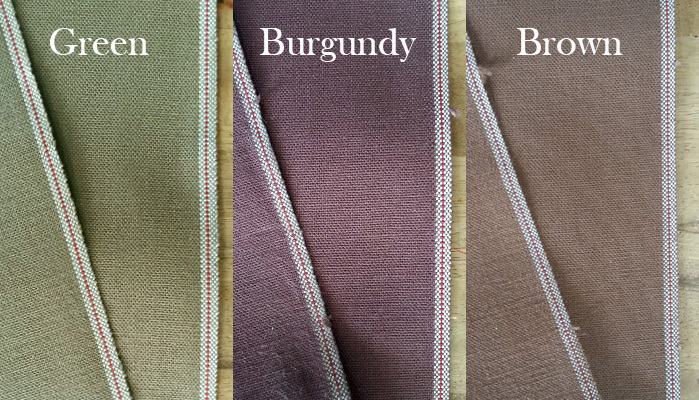 This material is 15.5oz and comes in three colours. Each of them will not shrink in a normal cold wash as they are sanforized. Putting them in the dryer will shrink them. Duck canvas can be more stiff than your regular denim, and this one is very rigid. It takes quite some time to break in.